Does health insurance cover car accident injuries? This can be a tricky question depending on your health and auto insurance policies. In some instances, it can get very complicated. 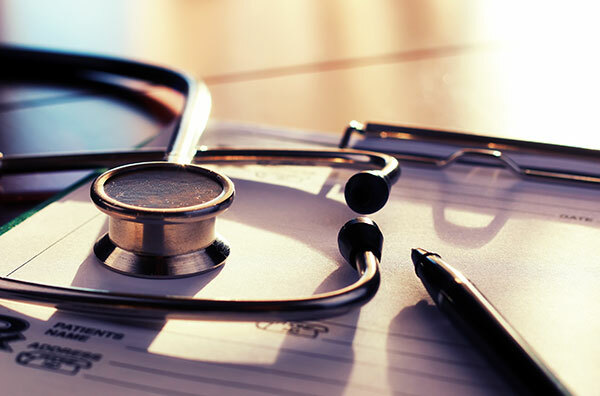 Health insurance claims for car accident injuries continues to be one of the most widely interpreted issues when it comes to personal injury claims in the state of Texas. Are you covered? When does your health insurance kick in? Unless your health insurance policy specifically does not cover automobile accidents, usually your health insurance should kick in after an accident. However, some policies require your auto policy to payout first and other policies have vaguely worded exceptions that the insurance company tries to use in order to avoid paying. We are seeing more and more instances where either the insurance companies are refusing to pay or providers are refusing to bill. Even when you have coverage, you will still be responsible for paying your deductible and any applicable coinsurance, which can be expensive. If you have PIP coverage, you can attempt to use this coverage to help with your deductible or coinsurance. If the accident was caused by another driver and your health insurance made payments on your behalf, then you most likely have an obligation to pay back such monies from your recovery. Were you charged “uninsured rates” at the hospital? Whether your own health insurance company decides to approve a personal injury claim related to a car accident may also depend on the doctor or hospital that provided you treatment at the time of the accident, as well as the fine writing in your insurance policy. Although hospitals provide life-saving care at the time of your greatest need, they also seek to maximize their income and often bill car accident victims as “uninsured,” so they can file a lien against any settlement you may eventually get. This allows hospitals to get paid four to five times more than what your traditional health insurance may provide. We feel that this is an unfair practice. By way of example, a certain hospital in Houston that is widely used for all types of injuries, accidents, and procedures, will charge a patient with insurance anywhere from $500 to $700 for a basic CT scan. But for uninsured patients, the hospital charges $4,000 to $5,000 for the same procedure! Who has time to figure out how and for what you’re being charged at a hospital when you’ve been injured? Not many patients have this opportunity, and as a result of the hospitals charging patients “uninsured rates,” health insurers will often deny their clients claims when they’ve been involved in a collision. This leaves you — the person in physical pain and stress — in an even more dire predicament. It also creates a conflict between the hospital and insurance company, with neither willing to budge to provide the coverage you need. If you have Medicare or Medicaid, you’re in better luck in that you may not have to fight to receive some benefits, but the type of benefits you do receive may be inadequate, take years to settle, and can be much harder to navigate because of the sheer size of the bureaucracy of these two federal programs. It’s always wise to carry more uninsured/underinsured (UIM/UM) coverage than you think you’ll need. This type of coverage can help you if someone hurts you seriously and you are unable to work for an extended period of time. Most of the time, UIM/UM coverage is fairly cheap, so get a lot of it if you can afford it. You should also check your policy to see if you have MedPay. MedPay is an optional part of your insurance policy that can cover care for injuries if you get in a car accident in addition to your limits for personal bodily injury. Another troubling trend when seeking out medical help after a car accident is that now, many doctors simply refuse to treat car accident victims. In a recent case, one of our clients had regularly seen her orthopedic doctor for several years. When she called his office to seek orthopedic treatment for a car accident she had recently been in, the doctor simply said “no,” and that she should find a new doctor that treats car accident victims. Call an experienced auto accident lawyer to help you navigate your options. Often times, an experienced injury lawyer will know of good doctors that are willing to help car accident victims. Also, a lawyer can assist you in either finding health coverage or arranging an alternative form of guarantee so you can get the treatment you need to get on the road to recovery. Does Medicare Cover Car Accident Injuries? Personal Injury Protection vs. Med Pay: Which Is Better?